How many people can fly at one time? Our helicopters can take up to 4 passengers at one time. Are the prices shown per ticket or for the whole helicopter? Prices shown are per ticket, per passenger. Will my flight be private? No. Your purchase guarantees you a seat in the helicopter for your chosen tour. Oregon Helicopters reserves the right to fill all seats with passengers. Exceptions to this are the Romantic Date flights which are private and reserved per couple. How can I arrange a private flight? All “Romantic Date” flights are automatically private. Additionally, any other tour can be arranged to be private by special request. Please call to request a private tour. Will I fly together with the other people I booked with? Generally yes. If your party is larger than 4 passengers then we will need to split your group into multiple helicopters. If your group is 4 or fewer people you will always be grouped together. What is the minimum number of passengers needed to fly? A minimum of two passengers are needed for any of our tours to depart. Groups of 2 or more people can freely choose their departure time and date using our online booking system during checkout or by booking over the phone. Keep in mind that tickets are sold per seat and Oregon Helicopters reserves the right to fill all seats on a given flight. As two passengers are needed to fly on any tour, single passengers will be combined with other groups or singles to meet the minimum passenger count. Single ticket holders may book online but will be contacted by staff after purchase of a single ticket in order to schedule a date and time for their flight. NOTE: OREGON HELICOPTERS CANNOT GUARANTEE SPECIFIC DATES AND TIMES FOR SINGLE RIDERS UNTIL AFTER CONSULTATION WITH STAFF. What ages are appropriate to take a helicopter flight? All ages can fly: from babies in arms to seniors, helicopter tours are a fun for everyone. Kids love it and in our experience are not bothered by the noise. Can I hold my child in my lap? Like the airlines we are governed by the FAA. By FAA rules children of 2 years old and younger may ride in an adult’s lap. Older than 2 must have their own seat. Why do you ask my weight when booking a flight? The helicopters we operate have a maximum weight limitation for passengers. Specifically that is not more 300 pounds for any one passenger position and not more than 850 pounds total passenger weight. Tickets are fully refunded or rescheduled, whichever you prefer, up to 24 hours prior to the scheduled flight time. No shows and cancellations made within 24 hours of the flight time are charged for the full cost of ticket to the credit card provided at the time of booking. What about cancellations due to weather? Tours cancelled due to weather are fully refunded or rescheduled, whichever you prefer. That depends on the tour you have chosen. 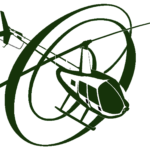 Portland based tours depart from Downtown Portland Heliport (33 NW Davis, Portland OR 97209). Hillsboro based tours depart from Hillsboro Airport (3355 NE Cornell Rd, Hillsboro OR 97124). Occasionally, however, Oregon Helicopters will fly at events or special venues in which case flights will depart and return to the address affiliated with the event. How far ahead of time do I need to schedule? Often you can book a tour for the same day. Popular days and times will book out further in advance. You may see current availability online by choosing a tour and clicking the “book now” button. You may also call our customer service line (503) 987-0060 to check availability. We reserve the right to fill all empty seats on our tour flights. The exception are “Romantic Flights” which are guaranteed to be private for the couple who has booked. Can I bring a camera/take pictures? Absolutely. We hope you do! And we hope you will then share a few with us on our Facebook page @oregonhelicopters and our instagram account oregon_helicopters. Is it scary to fly in a helicopter? Many people are nervous about flying in a helicopter before they get on board. It is our experience that invariably everyone gets off at the end of the flight with an irrepressible grin. Flying is new for most people and can be a little intimidating to think about doing. But once you’ve gotten into the helicopter it is truly captivating. Beyond that helicopters generally provide a smoother, less “bumpy” ride than light aircraft. If you feel panicky please know your limits and don’t force yourself to fly. But if you’re just a bit hesitant and uncertain, try it, you’re going to like it.